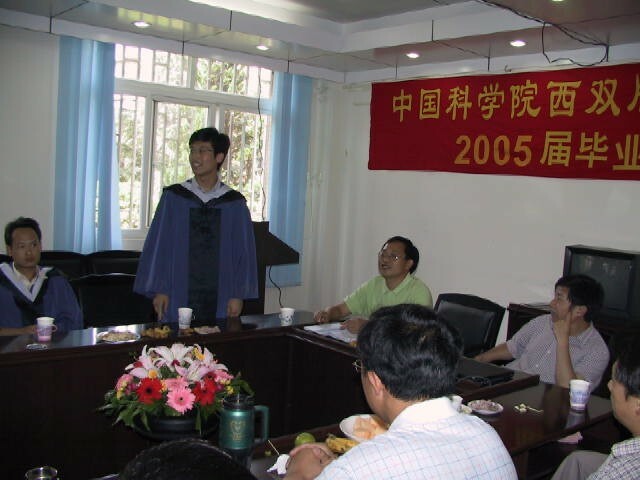 On June 29, a meeting for the graduates 2005 was held at XTBG Kunming Division. 28 postgraduate students in their gowns of master degree merrily gathered together with their supervisors. Mr. Li Hongwei, XTBG director assistant and leader of the Personnel and Education Department, presided over the meeting. At the meeting, all the participating graduates were free to express their feelings about living and studying in XTBG, and wished the Garden a brighter future. They also put forward some good suggestions on the XTBG development, academic atmosphere, postgraduate administration, and communication between the supervisors and their candidates. 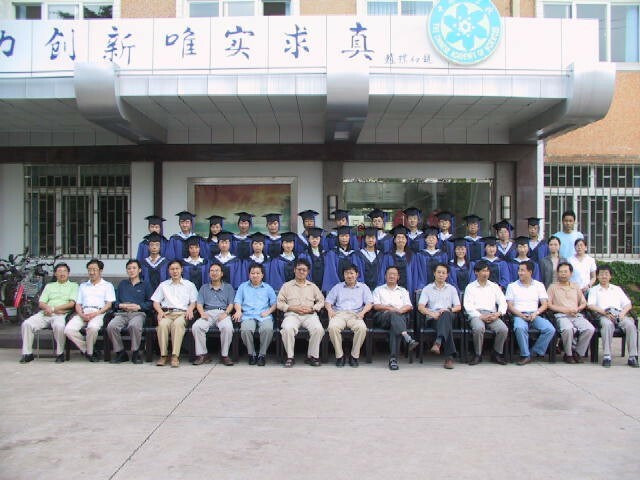 On behalf of the Garden, Prof. Chen Jin, the CPC secretary and deputy director of XTBG, congratulated on the students’ accomplishment of their school work and acquirement of Master’s Degree of Science (MSc). Prof. Chen affirmed their performances and contributions to the Garden in the past three years, and expressed ardent expectations and good wishes for their future life and work. In addition, the students are welcomed to visit XTBG frequently after their graduation. After the meeting, all the graduates took group photos with XTBG leaders and their supervisors for memory. A graduation banquet and farewell party was held. The graduates expressed their affection for XTBG and gratitude to their supervisors by songs. The party ended with a popular song, Remember Tonight.